(G)I-DLE’s Thai member is getting a lot of attention on SNS after a clip showing Minnie’s singing has become a phenomenon. At recent KCON event, held in Thailand, a member of (G)I-DLE has received great attention from netizens. Minnie, the Thai member of Cube’s girl group, covered a short part of “Fahk Wai” (Deposit) when interacting with the audience. This video has received nearly 45 thousand retweets and nearly 15 thousand likes 3 days after being posted on Twitter. This proves Minnie’s charisma in a female group in which most people only know Soyeon. Minnie’s singing video posted on Twitter is attracting a lot of attention. Minnie ((G) I-DLE) covered a short part of “Fahk Wai” (Deposit) at KCON 2018 THAILAND. Most of netizens praised Minnie’s voice. 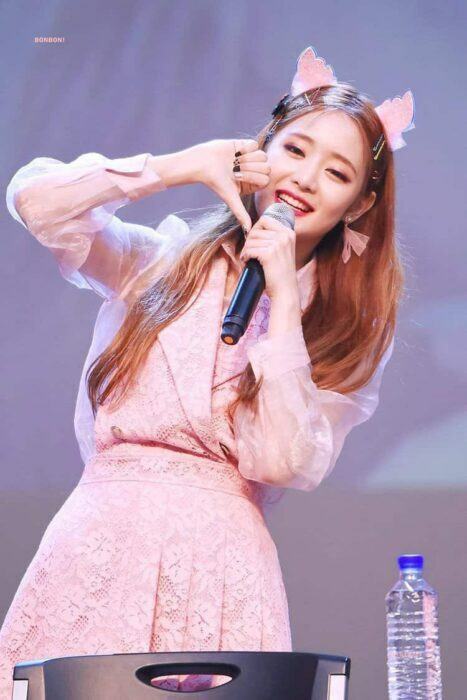 She is said to have a unique voice and to be a good vocalist who has recently been discovered in (G)I-DLE. In addition, many people hope that the idol from the land of Golden Temples will have more opportunities to shine in the future.